Indoor plants have always been popular for their calming effect, design elements and air purification. 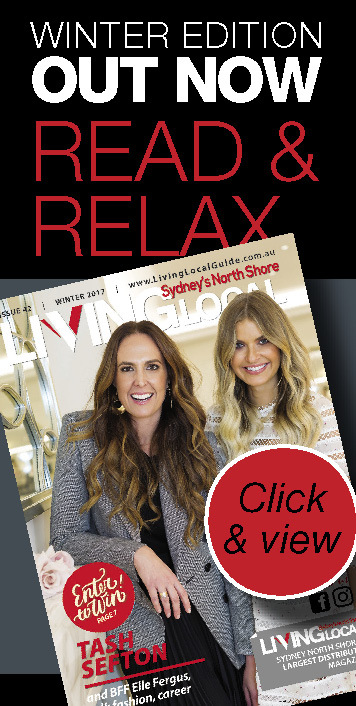 According to the Department of the Environment the average Australian spends about 90% of their time indoors so the quality of the air in our homes, offices and public buildings is hugely important. 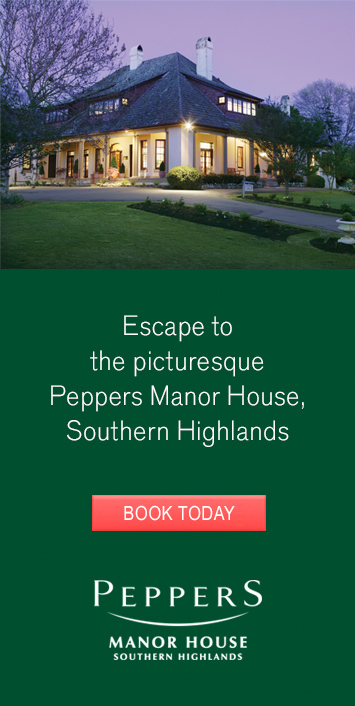 Regrettably our indoor environments are heavily exposed to toxic compounds such as Formaldehyde which is leached into the home and workplace from furnishings, upholstery, synthetic building materials and cleaning products. Mould, pollen and bacteria are also common indoor air pollutants and even car exhaust particles make their way inside. Plants offer a great solution for improving air quality as they absorb tiny air particles as well as carbon monoxide, which is then processed into oxygen via photosynthesis. 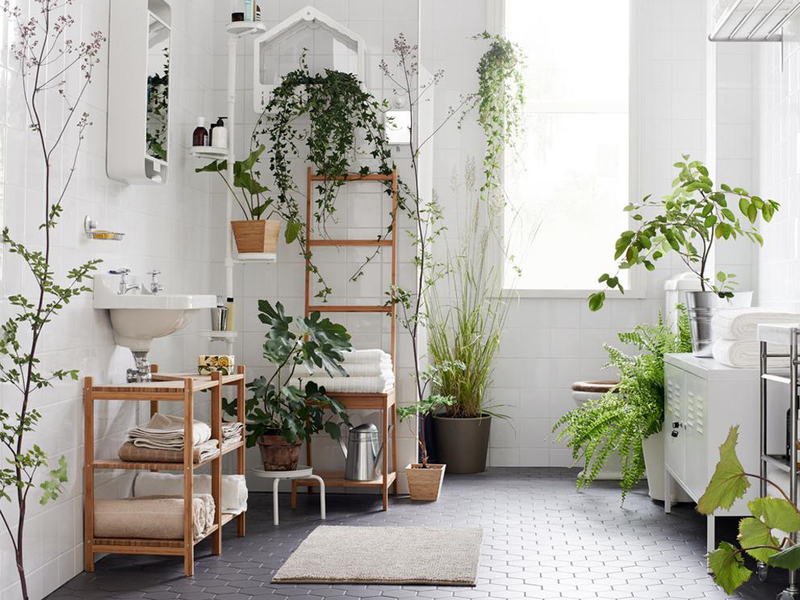 Aside from cleansing the air, indoor plants are well known to simply make you feel good! 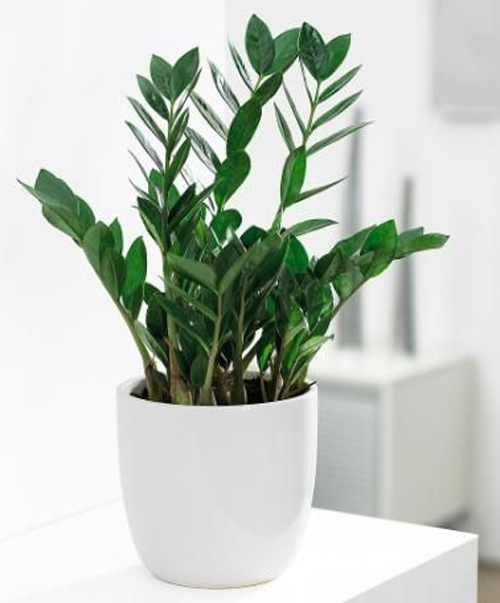 Plants in offices or on your desk reduce mental fatigue and hospital patients with plants in their room have been known to have lower blood pressure and stress levels. So, put a potted plant or two or three in your home – it’s an easy, inexpensive and rewarding way to enhance your well-being and a wonderful way to purify the air! 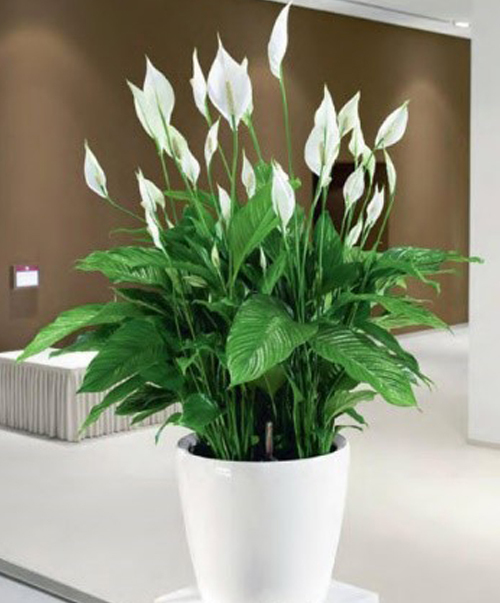 Peace Lily: Broad leafed plants with their larger surface area tolerate lower light areas in the home and allow for more carbon dioxide consumption, therefore more oxygen production – WIN WIN! Zanzibar Gem: This virtually un-killable plant is pretty much allergic to water, so only give it a drink every 6 to 8 weeks. 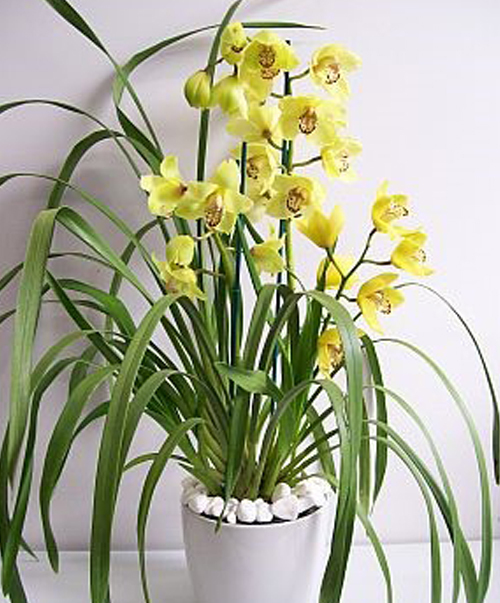 Cymbidium Orchid: For flowers that last up to 10 weeks, put a Cymbidium orchid or two in your home to cheer you up over the winter period. 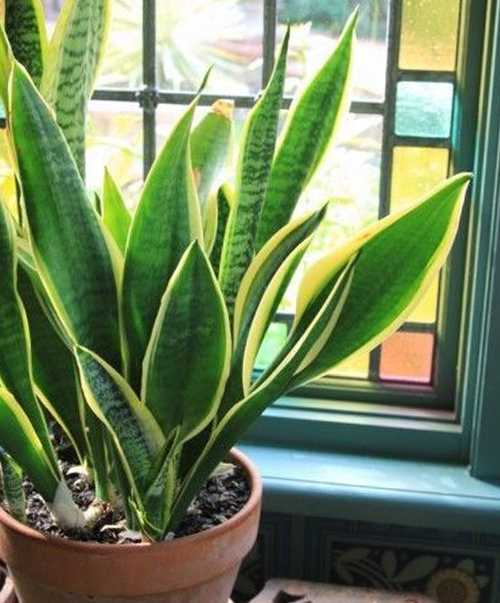 Sansevieria: This striking, architectural plant with its variegated leaves doesn’t like to have wet feet, so only water it every couple of months. 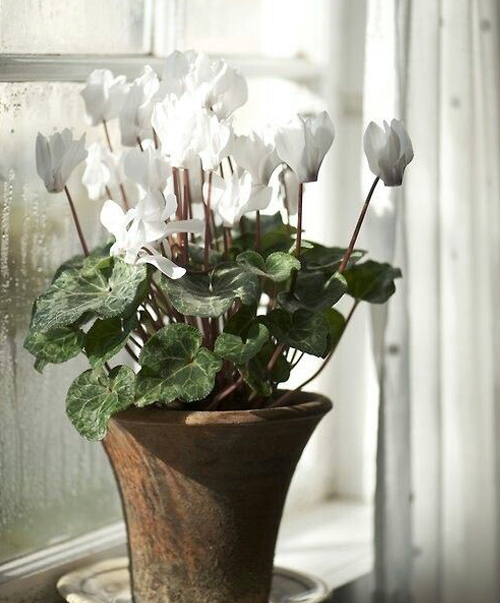 Cyclamen: Standing to attention, these pretty flowers just keep pushing up through the foliage for months on end. 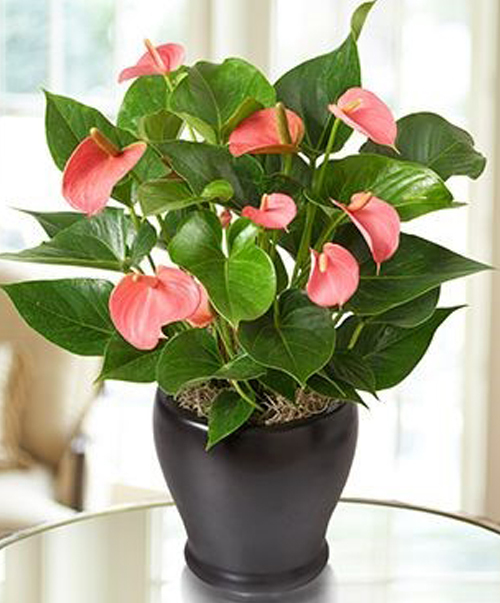 Anthurium: These extremely long lasting flowers slowly change to green as they age, adding another dimension to this fabulous, glossy leafed, easy care plant. 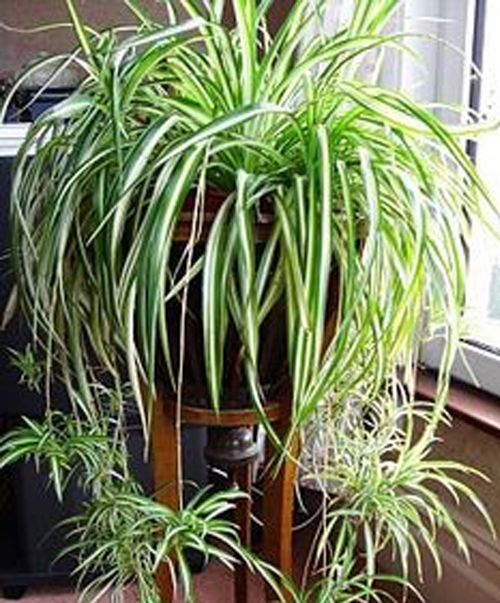 Spider Plant/Ribbon Plant: This 70’s favourite is back in vogue! Hang it up, put it on a tall table or place it on a shelf and watch its babies grow. GROOVY!